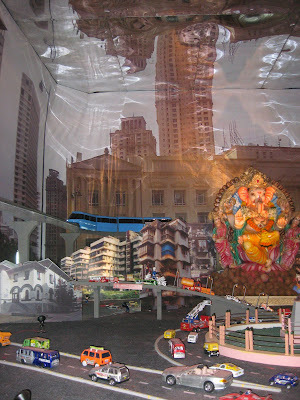 This one certainly has to be the best one we have seen so far... not the Ganesha, the decoration, of course!! 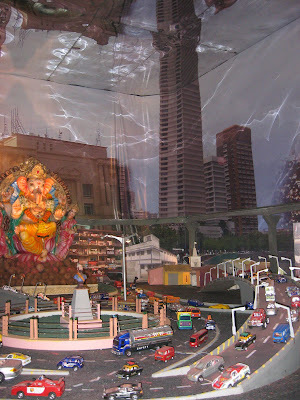 I am talking about the Ganpati at Chembur Station. Samhith insisted on staying put till the Monorail made a couple of journeys to and fro, leaving only when a huge crowd entered, and the attendant politely asked us to leave!!! But at least now he knows what the monorail will look like!!! I am sure Samhith would have liked to stay in pandal for long.. So fascinating it looks. .All these festivals fills the mind with happiness. 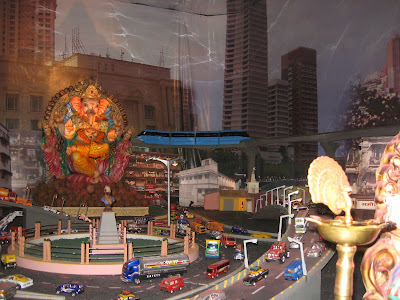 I can see that Samhith would have been fascinated by the monorail! Oh lovely theme!! 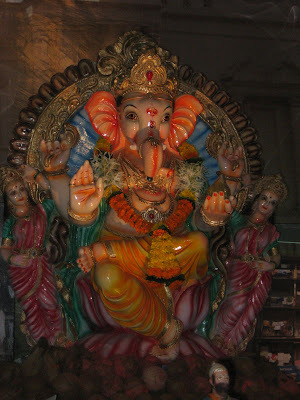 thats a gorgeous Ganesha! @Mridula: oh, he's absolutely fascinated... cant wait for it!